Love is in the air! Well almost. Yes, we are still in the month of January but we are getting close to the month of LOVE. LOL. This is a card for a new love or love in the new year. 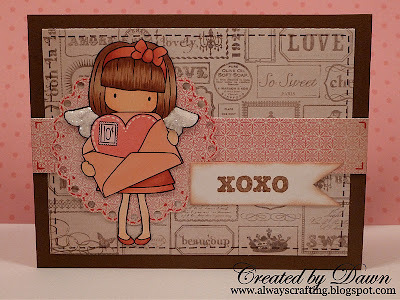 This image is called "mailed my heart" and she is a freebie from Whimsie Doodles. You can find her here. Image - whimsie doodles "mailed my heart"
Great coloring and layout! This is such a cute image, and I love what you've done with it! I'm so glad you joined us for the Whimsie Doodles Challenge this month! So sweet! Love the sparkle you added to the wings. Thanks for joining us at Whimsie Doodles this month! Awww so cute!! You're color choices and coloring are awesome. Beautiful card Dawn! I just LOVE it! the colors are fantastic! Thank you so much for sharing your talent with us at Whimsie Doodles! Oooo, this is so cute! What a great LO for this image and the sentiment. Those wings are darling. 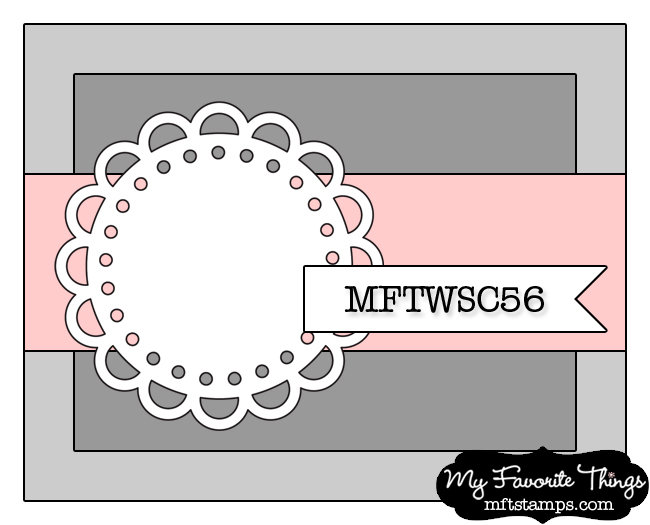 So glad you joined in the Whimsie Doodle fun this month!!! Oh, i just LOVE this! Sugary sweet! Good luck on the guest DT spot! Thanks for playing along with us for the Whimsie Doodles Challenge!